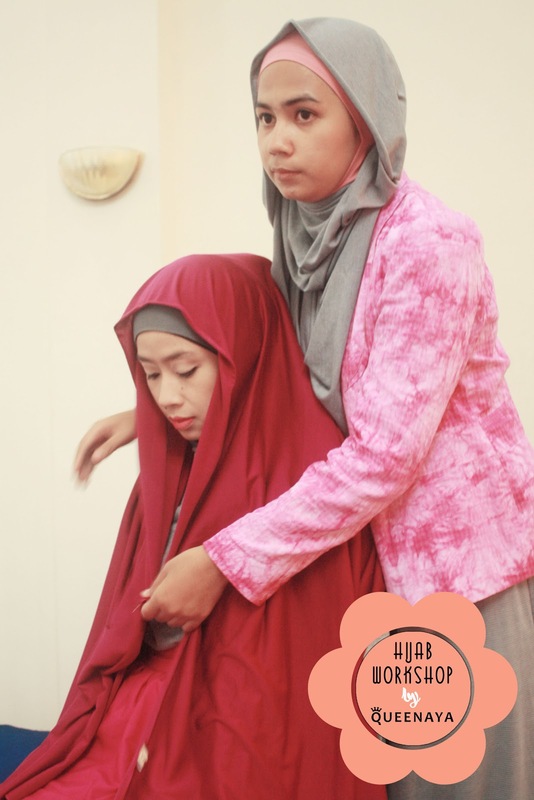 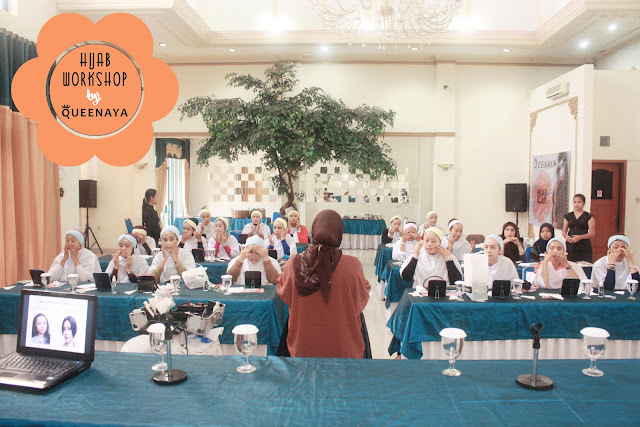 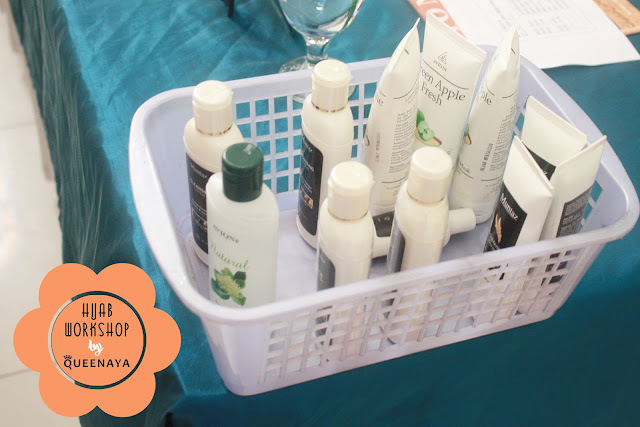 On April 7th, Queenaya was held Hijab Workshop at Hotel Narapati Bandung. 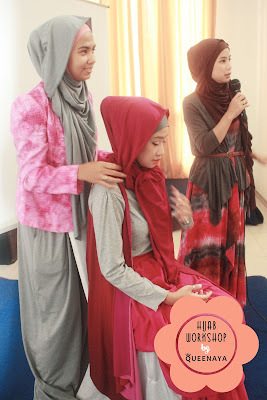 It was held in 2 session. 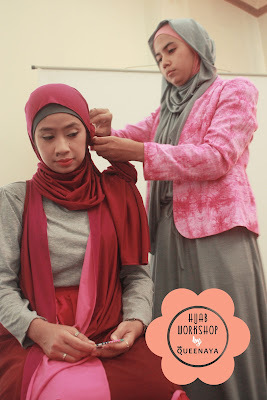 First Sesion start at 08.30 AM to 12.00 and Session Two start from 01.00 PM - 16.00 PM. 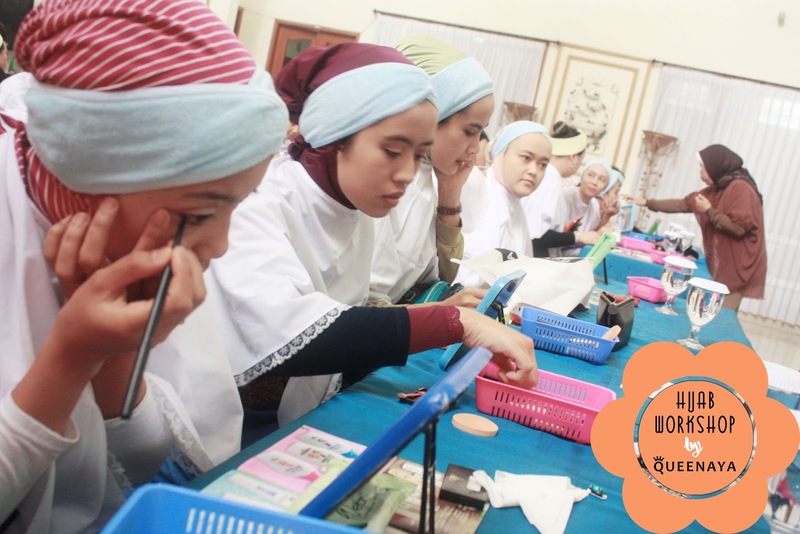 The workshop include Beauty Class and Hijab Class. 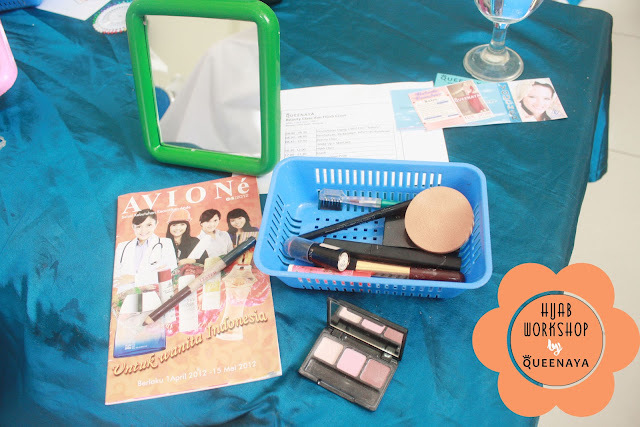 For Beuaty Class we are join with Avione. 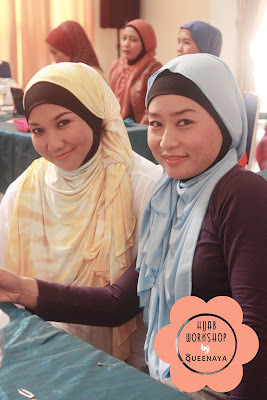 Avione team share all beauty tips, start from the skin care to the daily makeup. After beauty class then continued with Hijab Class. 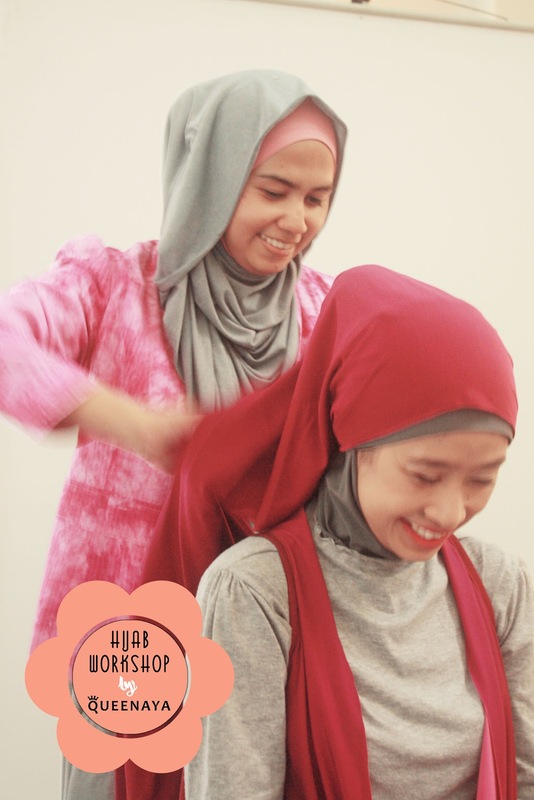 Alhamdulillah, all participant are very excited follow the workshop. 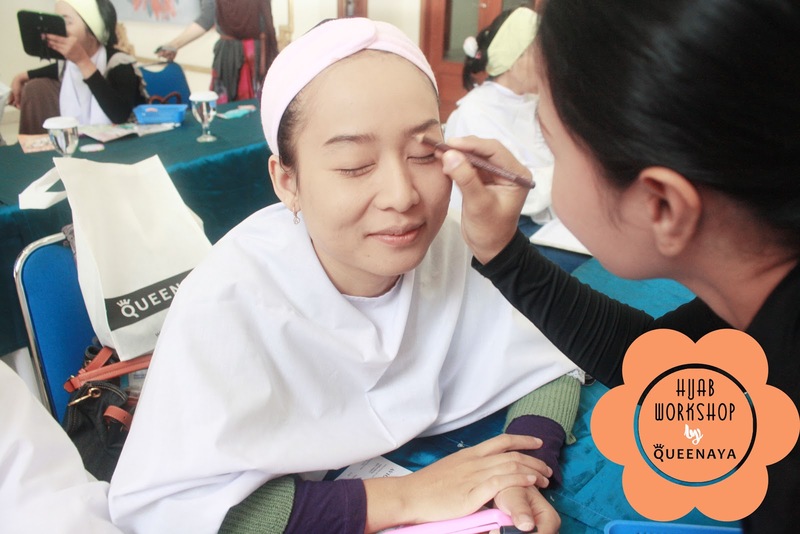 Avione team help the participant put her eye brow pencil. 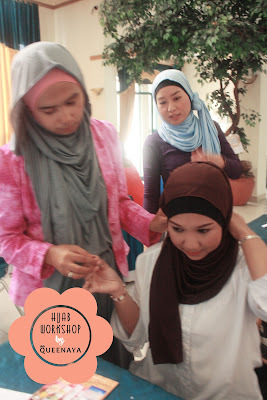 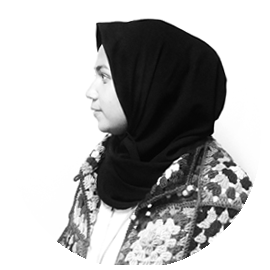 I gave the hijab tutorial, and this for the first time on a workshop. But not the first time. 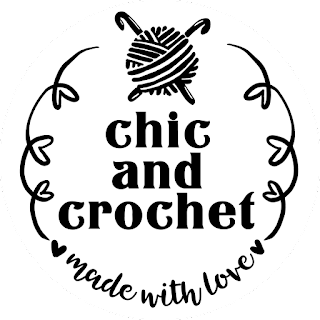 Little bit nervous at the first, but i enjoyed after that. 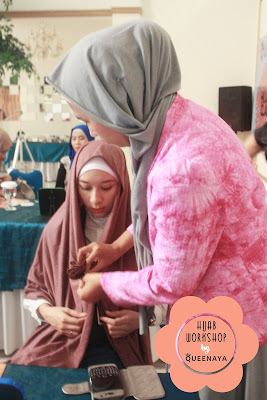 Women are love to sharing especially about beauty and style.